You are welcome to Empowerment Brunch. 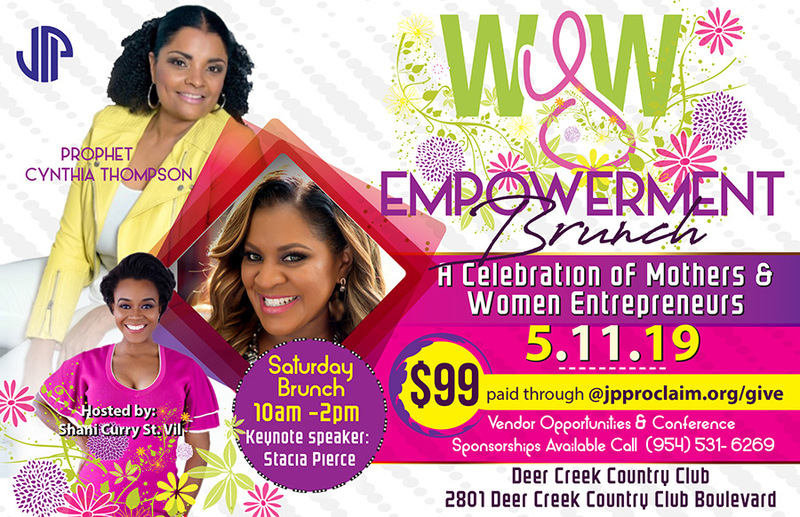 A Celebration of Mothers and Women Entrepreneurs. Registration is only $99 for this awesome event. In order to register please visit the Give page on our website. After giving type selected, enter amount $99 then click Next, and confirm payment with mobile phone. Any questions call 954 531-6269.